Depicted below are nearly 50 badges issued for Apollo 11 throughout the last five decades from my own personal collections, all different in some way or another. We've got firing room badges, VIP, press, on pad access, support areas, viewing site permits, anniversaries, special events, reunions, and even various membership cards and ticket issues. 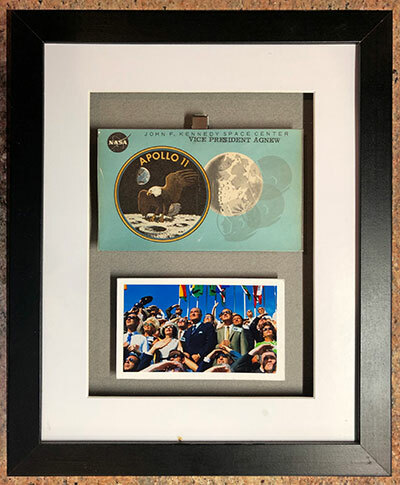 Many were used by myself and note the Armstrong and Aldrin signed items as well. It's almost a lifetime of collecting, however, I am still missing a few Apollo 11 badges that I know are here somewhere, including a rare Mission Control Center access badge to the Houston space center during the actual flight itself. Let's see more badges here in commemorating the first manned lunar landing space voyage — bring them on! Your collection never ceases to amaze. We all benefit from you passion, expertise and your desire to share it with us all on collectSPACE. Just one Apollo 11 badge in the collection here. 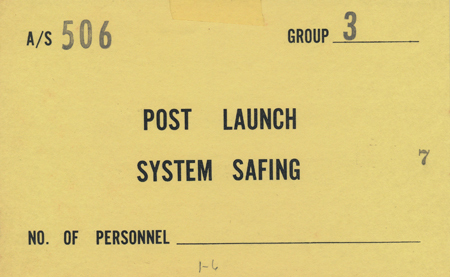 Like with many of these Apollo 11 MCC badges there is some degradation to the lamination but, hey, "it was there." 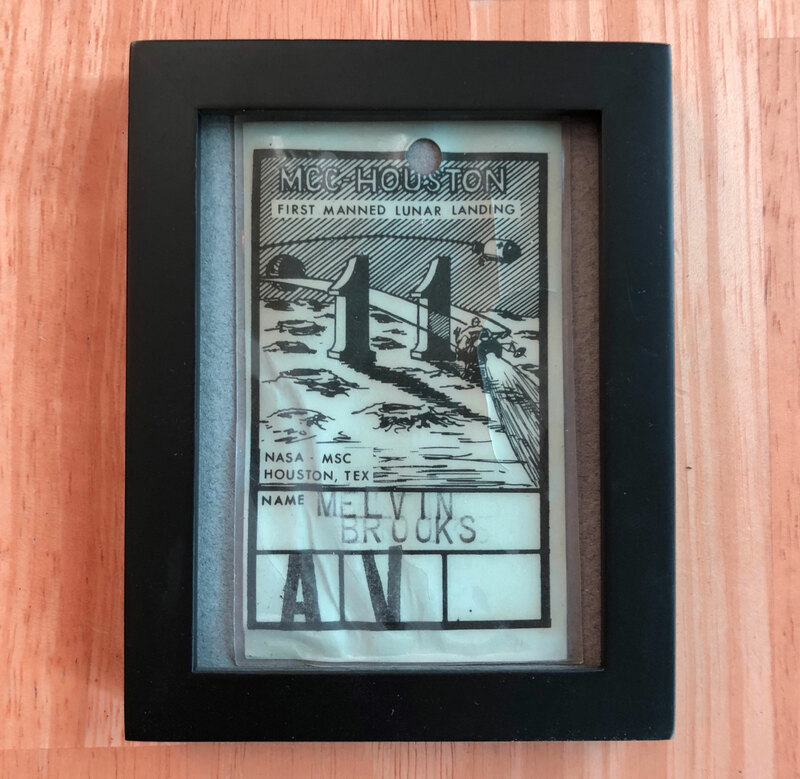 Always liked the hand-drawn image, unique to the Apollo 11 Mission Control badge. Melvin Brooks was a flight controller with the Gemini program and later, the assistant Chief of Experiments Systems/Payload Operations for the Apollo Program. On edit, and shame on me. There are TWO Apollo 11 badges in the collection. Vice President Spiro Agnew's Apollo 11 personalized VIP launch pass, covered in some fun forensic research down-thread here (lots of other very cool badges too). Wow, that’s an impressive collection, Ken! That Agnew badge is also a fine piece, David. 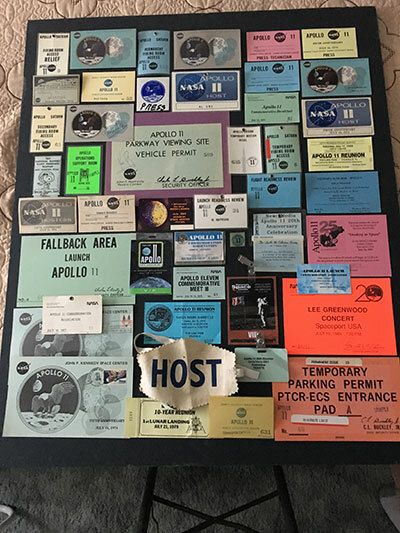 Here's my collection of Apollo 11 related badges and access passes.